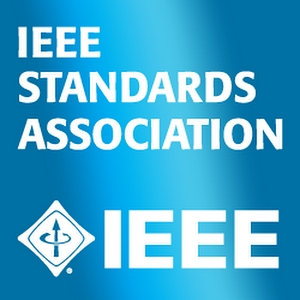 IEEE and the IEEE Standards Association (IEEE-SA), have announced the availability of the IEEE 802.11ah-2016 standard amendment, providing for an extended range Wireless Local Area Network (WLAN) in the sub 1 GHz band. IEEE 802.11ah-2016 significantly lowers propagation loss through free space, walls and other obstructions, and offers a networking alternative to augment the heavily congested 2.4 GHz band and the shorter-range 5 GHz band used today. IEEE 802.11ah-2016 defines a narrow-band orthogonal frequency division multiplexing (OFDM) physical layer (PHY) operating in the license-exempt bands below 1 GHz, making it suitable for several potential applications, such as Internet of Things (IoT), smart grid, healthcare, smart appliances and wearables. The IEEE 802.11ah-2016 standard amendment offers multiple low rates modes (starting from 150 kb/s) for extended range (up to 1 km outdoors) and higher rate modes (up to 347 Mbps) for applications requiring higher throughput. It supports outdoor deployment and can provide robust performance in large delay spread environments. Low rate modes are suitable for IoT applications, and provide whole-home coverage for battery-operated, small form-factor devices, such as temperature and moisture sensors. Higher rate modes support plug-in devices with a power amplifier, such as video security cameras. The IEEE 802.11ah-2016 standard amendment is optimized for long battery life and serving an increased number of devices with a MAC layer that enables increased scalability, higher power efficiency, and relay operation (single hop or multi-hop). More than 300 individuals from equipment and silicon suppliers, service providers, systems integrators, consultant organizations and academic institutions from more than 20 countries participated in the development of IEEE 802.11ah-2016. IEEE 802.11 defines the technology for the world’s premier WLAN products. IEEE 802.11-based products are often branded as “Wi-Fi” in the market. These standards underpin wireless networking applications around the world, such as wireless access to the Internet from offices, homes, airports, hotels, restaurants, trains and aircraft. IEEE 802.11’s relevance continues to expand with the emergence of new applications, such as the smart grid, wireless docking and the “Internet of Things.” IEEE 802.11ah-2016 is available for purchase at the IEEE Standards Store.